COMMUNITY is a quarterly print publication produced by KADE KEYO. The magazine is designed to showcase the features and functions of happenings within the product, its members and participants. 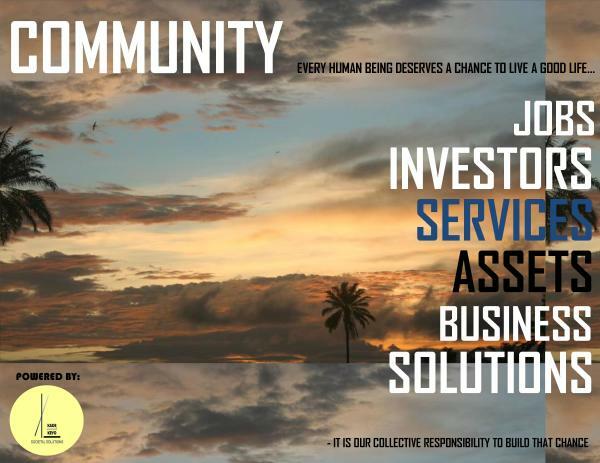 It will highlight the benefits of joining COMMUNITY as a whole, the features of its parts such as the SFN (Silent Force Network) which is a COMMUNITY fund pool created to allow every member or participant within the product, access to a process of financial inclusion as well as a sense of participation for every development or growth milestone that it achieves. The Magazine will showcase features and functions such as models, programs and solutions which people can participate or apply to participate in. Solutions that address directly, challenges like unemployment, skill deficiency, asset redundancy and wastage, lack of basic amenities and poor quality of life. COMMUNITY through its publication will bridge the gap between the unintelligent internet users and the intelligent uninformed individuals. According to research, the population of intelligent internet users who have access to the internet is rater lower than perceived. To this end, COMMUNITY, being designed to give a good quality of life to all who apply to become a part of its network, can reach people who fall within this demographic. The magazine will be distributed publicly to Public centres in various Local government areas with content that will be both inspirational and full of hope towards a better day. Some of these common areas are Public restaurants, Eateries, Salons, Spas, Tailor Shops, Malls and Public Spaces. COMMUNITY is not just designed to help people live a better life, it also creates avenues for wealth creation for all of its members. Partnering your brand with us will give you access to markets within communal neighbourhoods. This is a wonderful branding and marketing opportunity for your business. To place your business in our COMMUNITY magazine quarterly publication, kindly email us at solutions@kade-keyo.com to find out anout the advertising and partnership options. At KADE KEYO, we are always looking for quality people to join our team. If you have relevant skills or interests in any of our fields, then we would love to give you an opportunity to build a career with us. 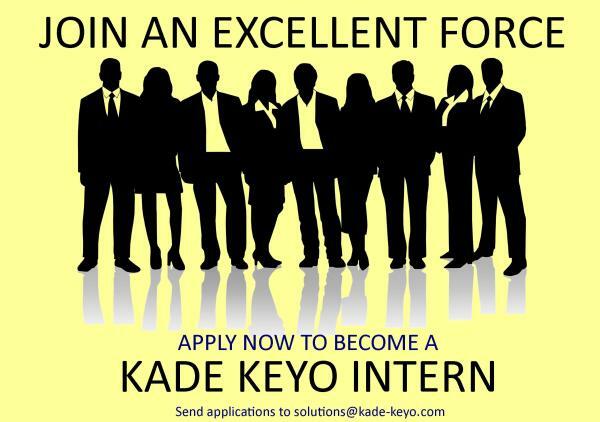 KADE KEYO runs a vibrant internship program where you immediately get to practice everything you have learned thus far and we always have a place for people who prove their exellence with results. Apply now to join our team as an intern. We currently have slots for Sales, Marketing PR and Business Internship programs.